Swecha is conducting a 7 day summer camp with advanced technical training named 'Swecha Boot Camp' from 18-06-2015 to 24-06-2015. What is Swecha Boot Camp? It's time for the technical aspirants to move from basic towards advanced level technical training for cutting edge technologies to stand up in the current evolving trend. The main objective of this camp is to introduce and work with the cutting edge technologies under the guidance of experts from industry. 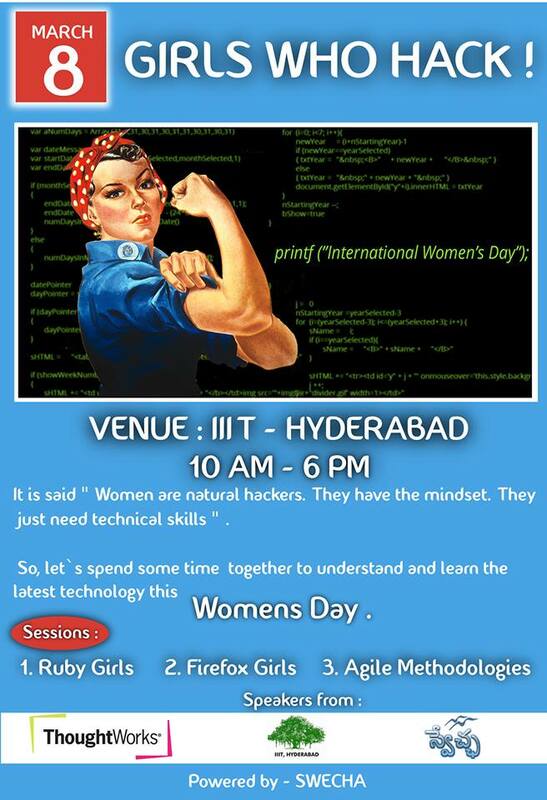 Speakers from Swecha, IIITH and ThoughtWorks will present the sessions. 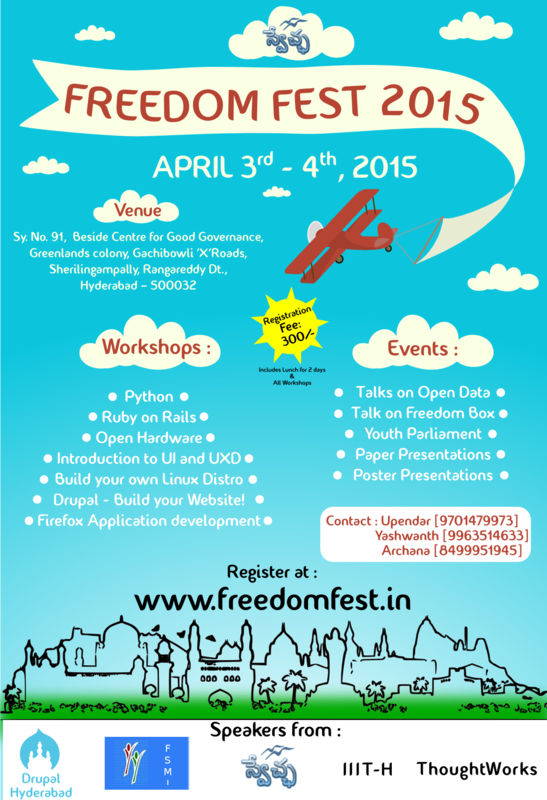 More than 500 students from various colleges in Hyderabad participated in the Free Software workshops held by Swecha. 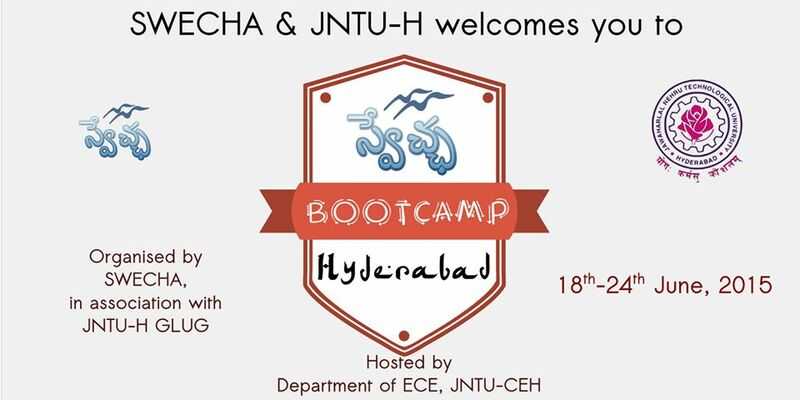 These workshops were held at VNR VJIET, SVIT and SMEC colleges in Hyderabad. The sessions were aimed at introducing various free software alternatives available for the students in the engineering domain. A number of students showed interest in participating in more such workshops. The students were greatly inspired by these workshops to intensify their glug activities in close to 25 engineering colleges with the help of Swecha. The hosting glugs are vglug, EERF and vinx.